WTOP's Rachel Nania shares her experience adding "Elf on the Shelf" to her family's holidays -- but she's running out of ideas. Give her a hand! TODAY.com: A few of these ideas might land you on the naughty list. 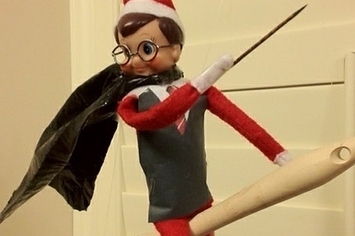 Scout elves (that's what the Elf on the Shelf characters are called) are not supposed to be touched, or else they lose their magic. 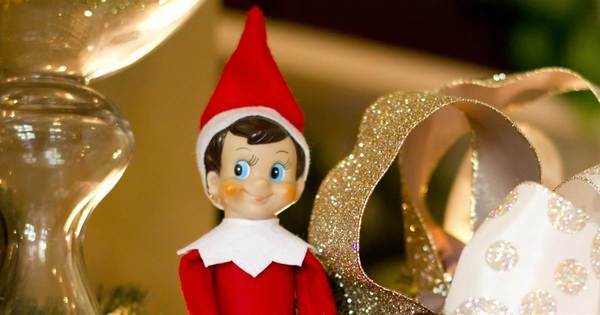 One reader wrote in that when her nephew accidentally touched the elf on the leg while he was running around, the elf disappeared and showed up the next day in a hospital bed (a doll's bed) with a cast on his leg and a wet rag on his head. The cast was signed by his sister's scout elf. BuzzFeedBecause just sitting on a shelf is so 2012.